I didn’t make loaves of bread today, since we still have a loaf and a half in the freezer from last week. The toddler isn’t eating as many sandwiches at the moment. Because I didn’t have any sandwich bread to make, I wanted to make something else. Baking on Sunday has become a habit for me, to make something useful and/or special for us for the week. 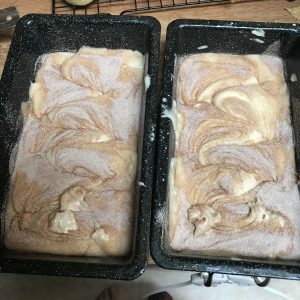 Today I chose a recipe I’ve made before, but love. 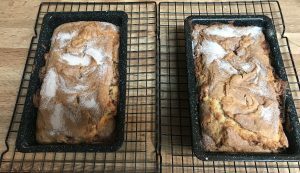 It’s a spin on Amish Cinnamon Bread, and the recipe is here. 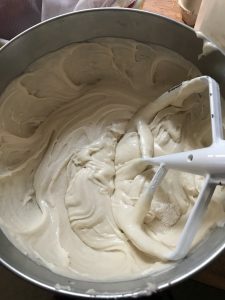 It’s a pretty simple recipe, and the batter reminds me a lot of banana bread. It’s thick and sticky, which makes it a little more challenging to work with. It looks like frosting. Then I greased the pans. 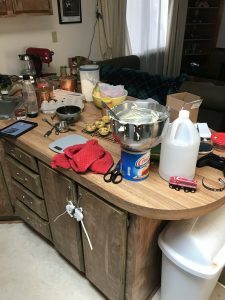 I always use some wax paper and Crisco. My grandmother would always say, “If you can’t afford Crisco, you can’t afford shortening.” I always use name brand Crisco when I’m baking. I don’t know if it makes a difference, because I’ve never dared go against Granny to try anything else! 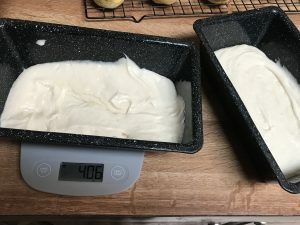 I didn’t used to weigh anything until I started making loaves of bread. A matter of ounces can change the size of the loaf, under baking one and over baking the other. So I’ve started using a scale and it’s worked wonders. 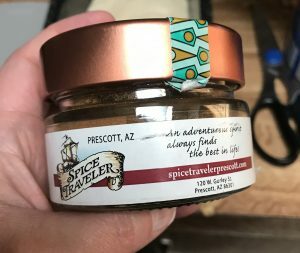 This is the cinnamon I use, from a local store, and it is amazing. 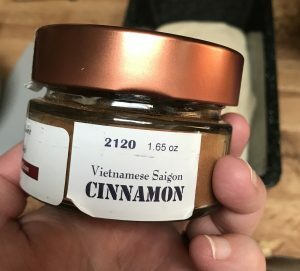 I never realized there was a difference in buying good cinnamon until I actually bought good cinnamon. It makes all the difference in the world! Fill the pans with a layer of batter, then sprinkle on some of the cinnamon/sugar mixture. Top it with the rest of the batter (this was a little tricky to smooth out because the cinnamon/sugar blend made the batter want to peel up, instead of sticking. It took some finessing to get the batter into all four corners). Then swirl it with a knife. I used a simple back and forth swirl. All done! It took a little longer than 50 minutes to bake, maybe because of the altitude. Or maybe it’s my oven – who knows! I can’t wait to cut into it, but it’s cooling right now. Then I’ll clean the kitchen.